the-puer.com - who we are ? Our concept : the respect for the people, the production line and local terroirs. To truly understand the products we offer in depth: this idea is the fruition of our experience over the last few years which has enabled us to be in direct contact with the tea farmers and obtain firsthand knowledge of the region, farming methods and elaboration of the teas. Aude Frère and Dominique Charriez. 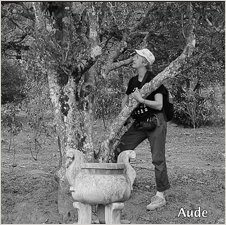 Artist photographers, passionate about China and the Yunnan, we have been striving since 2005 to get Pu'Erh tea better known. Through a number of exhibitions and conferences, we have inspired an interested crowd here in France (and even in China! ), eager to taste in a cup of tea what they first saw in pictures. To answer these solicitations, we at first brought back from China a few tea cakes made by our friends. Then we took it a step further and committed ourselves to working with them in the manufacturing adventure. In 2009 we decided to press our very first tea cakes under the name “Terre de Ciel”, in collaboration with our Yunnan friends and producers. Now, each season we return to Yunnan to select some Mao Cha that has been traditionally and manually processed by some of the surrounding families, and have it stone-pressed. We produce small quantities of high quality cakes. Making our own teas also enables us to offer Pu'Erh in smaller cakes (100 or 200g) - rare or even unavailable in Yunnan. We also work in the exciting world of other Yunnan teas: the famous black tea , green and white teas, sometimes less known. 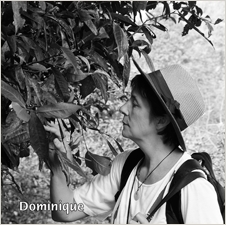 Over the seasons of harvest and friendly encounters, we also strive to expand our collection so as to make it possible for you to discover the richness and diversity of the teas of this county.